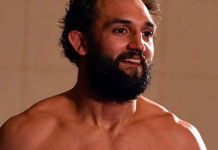 Last night, in the co-main event of the UFC’s latest trip to Halifax, Nova Scotia, Canada, former UFC welterweight champion Johny Hendricks sought to rebound from a tough three-fight losing streak with a fresh start in the middleweight division. His opportunity to do so came against former Olympian and Bellator champion Hector Lombard. 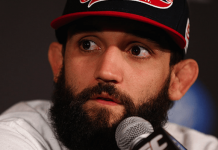 Though Hendricks had to absorb some thudding shots to do so, he ultimately earned himself a sound, unanimous decision win. Though not everyone agreed with this decision, it was a definite feel-good moment for the revivified former champ. Here’s how the MMA community reacted to Johny Hendrick’s competitive decision defeat of Hector Lombard. My wife: I don't like this, this is scary. Big rig looking great here against Lombard.
.@JohnyHendricks looked great that last round.Really let https://t.co/te9lXdkRqr it 29-28 for @HectorLombard but could be wrong. This win, which is Hendricks’ first since a March 2015 decision defeat of Matt Brown, separates him from a trio of losses. The first of these losses saw him TKO’d by imminent welterweight title challenger Stephen “Wonderboy” Thompson, while the second two saw him give up close decisions to Kelvin Gastelum and Neil Magny. He missed the welterweight division’s 170-pound cap in both of these latter fights. Though he is certainly small for the middleweight division, he is likely to benefit greatly from a less intense weight cut. The former welterweight king’s record now sits at 18-6 overall. Lombard, meanwhile, now finds himself on the first three-fight losing streak of his long and illustrious fighting career. 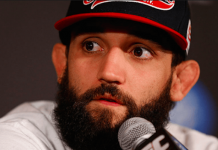 In his last three bouts, the Cuban-Australian has been stopped by Neil Magny and Dan Henderson, and now, decisioned by Hendricks. His name should be enough to influence the UFC to keep him around, though the organization has been quite frivolous with its cuts recently. Whatever the future holds for the ever-dangerous Lombard, his overall record now stands at 34-7-1. How did you score last night’s co-main event? 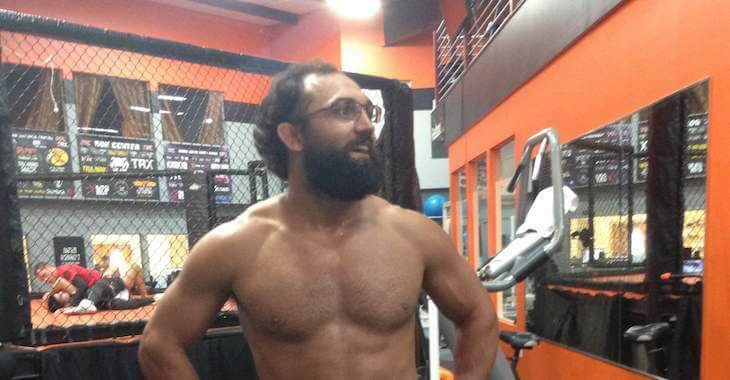 Where you impressed by Johny Hendricks’ first middleweight win? Sound off, PENN Nation!